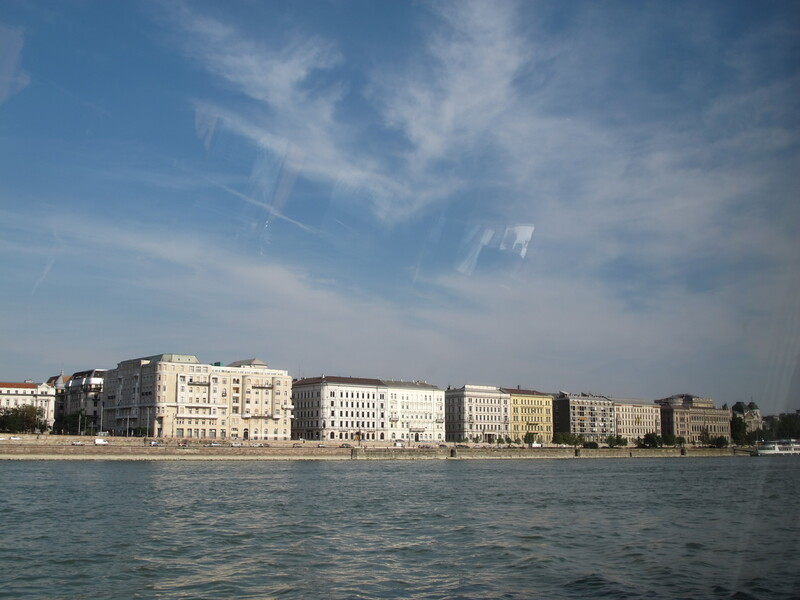 I was corpulent with knowledge when the train pulled into Keleti station. Almost over-briefed in fact. Firstly, I knew we didn’t have to panic about getting off because the train couldn’t go any further. No station identification problems. A tremendous relief. Secondly, I knew we were going to get done over, eviscerated, by the cunning Hungarian touts (CHTs) waiting for us, quite openly, without shame, at the sticky end of the platform. They’d all said it: Trip Adviser, Lonely Planet, Intrepid. We were gone. To make things worse I was wearing white socks, floppy shorts, a big hat (have I mentioned heat at all?) and a 3.7 metre neon arrow with ‘Dickhead. Take him down’ written on it. We were in the East. I’m not sure where East begins. If I say the Austro-Hungarian border historians would turn away restraining mirth. Geographers would point out that even Antioch and Damascus are only considered the NEAR East, although one might prefer to use the term Levant. I could try Mosul and Baghdad, but if I really wanted to be sure, Vladivostock and Beijing. Humour me. I was developing a set of (non-performance-related) criteria to define Eastern Europe. But then I found this photo. I won’t call it a joyous celebration of irresponsibility, and there are parts of Rakoczi ut where someone would have stepped in instantly and tidied up. But you can see what you’re getting. Anything else you’d like? Budapest. The East. And I didn’t take the photo only because it’s slightly daggy. If this was transported to the Saatchi Gallery it would be deemed art. But, lo and behold, we’re not in Austria any more. We’re on the other side of what used to be called the Iron Curtain. Our hotel was an excellent 3-star hotel in an excellent 3-star location just behind the opera house; a little like Fitzroy, a little like North Melbourne but with the action more distributed. We ate our way through the menu (on differing occasions) at a first class 3-star restaurant, Chagall, just round the corner which provided excellent 5-star people watching opportunities. 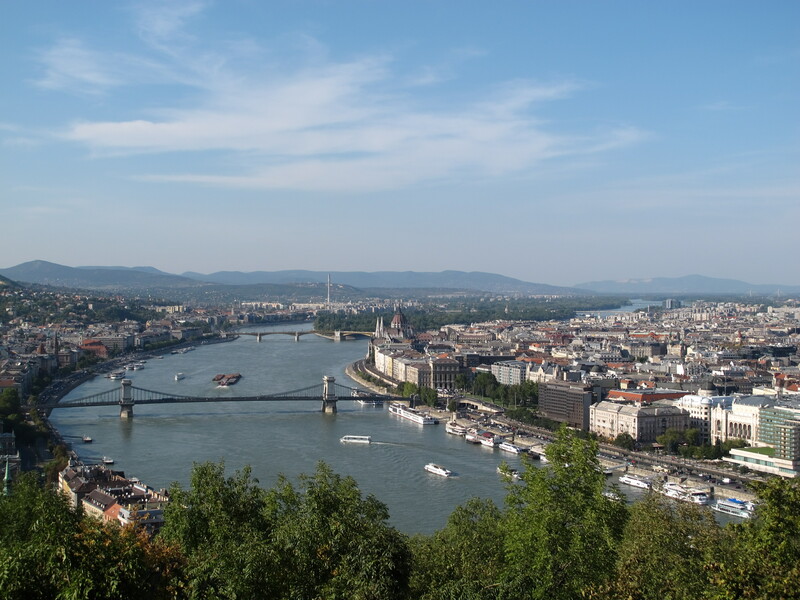 This is the photo people usually take of Budapest: the Danube in an appropriate shade of blue, with the Chain Bridge singing along in 3/4 time (a zither somewhere in the background however). 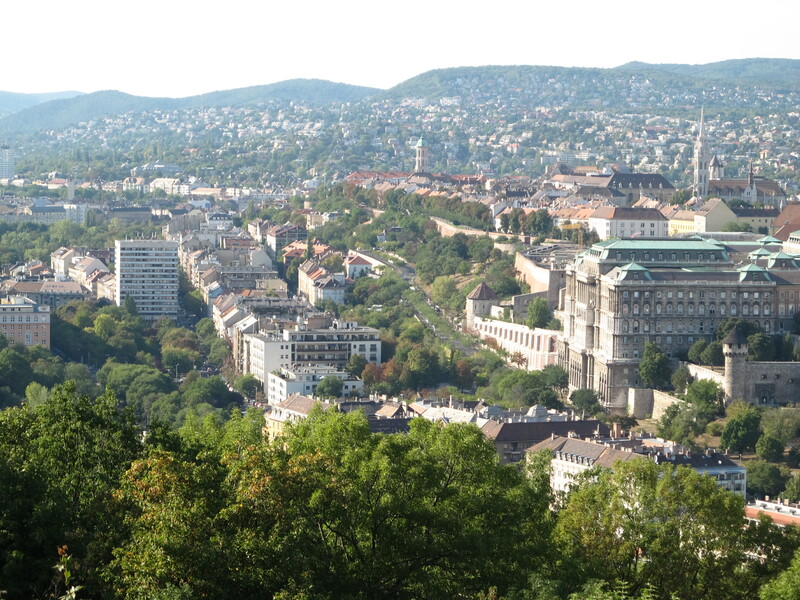 Here’s Buda … and here’s Pest (pesht! Come on. Truly (shakes head).). I’d like to propose several alternatives. 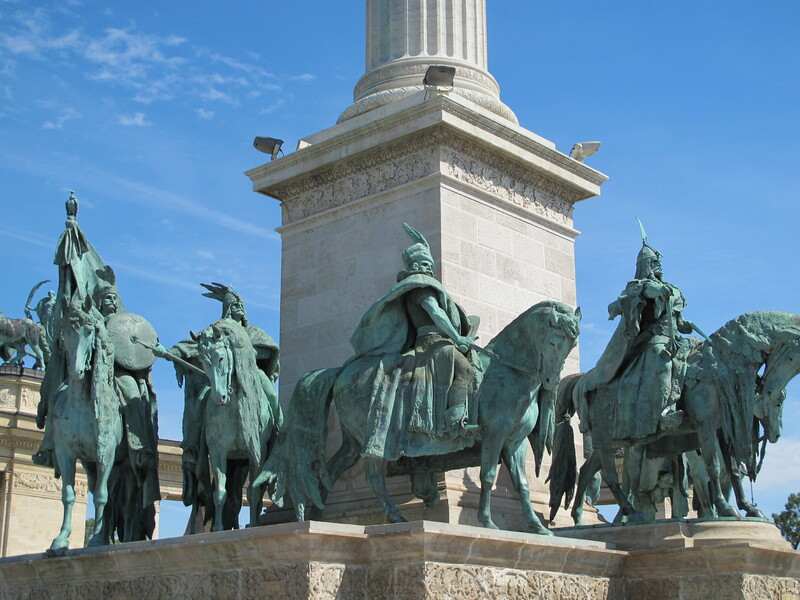 This one for a start — Magyar Budapest. 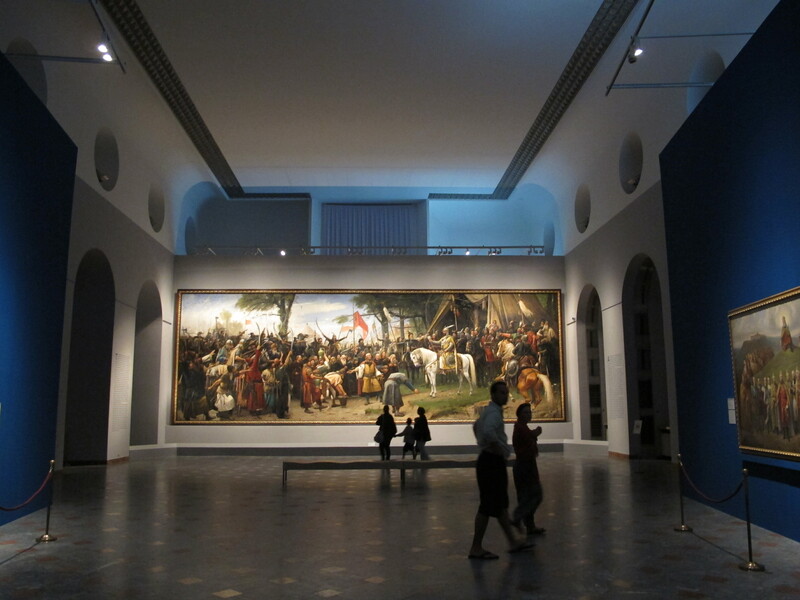 As indicated by the painting’s scale and setting, this is a profound moment in Hungarian history — Árpád (Árpád apánk,’our father’) along with the six Magyar Chieftains receiving tribute (certainly, as visually identified, dirt and grain; maybe cheese) from the populace of the Pannonian Plain on the welcome discovery that they were actually Magyar too! Tremendous luck, as Arpad, possibly a descendent of Attila, and his crew had come about 1500 km, on horseback, crossing the Carpathians in the process. As this occurred around 895 AD some of the detail may be lost, and it was 100 years later that St Stephen (not the St Stephen of Austria) actually developed the nation which dominated southern Europe as far as Spain around the turn of the first millenium AD. 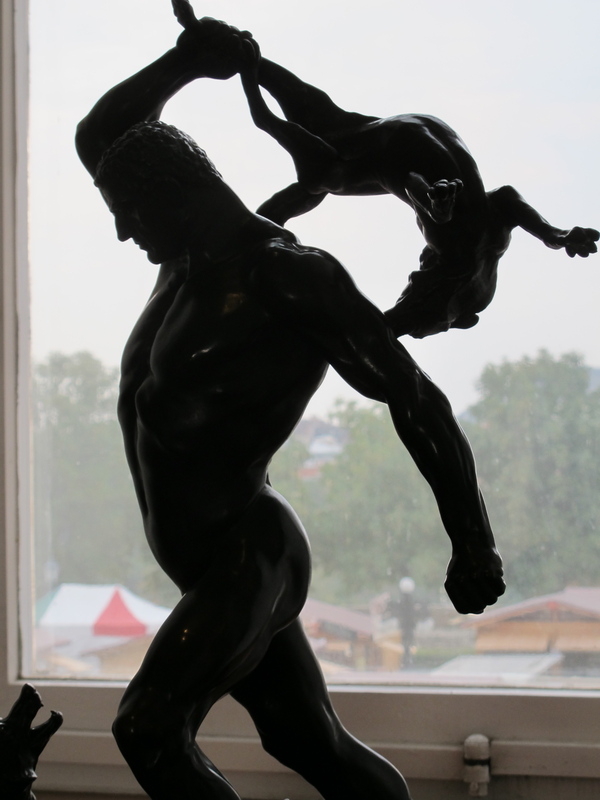 The Magyars were famed for their ferocity, and they are a visible presence in the statuary and public art of the city. For some reason they are more or less uniformly portrayed — well, for a start they’re only men, who knows how they procreated (although…) — with wide shoulders, very narrow hips, barrel chests and long, very straight noses with no indent at the bridge. Like this. 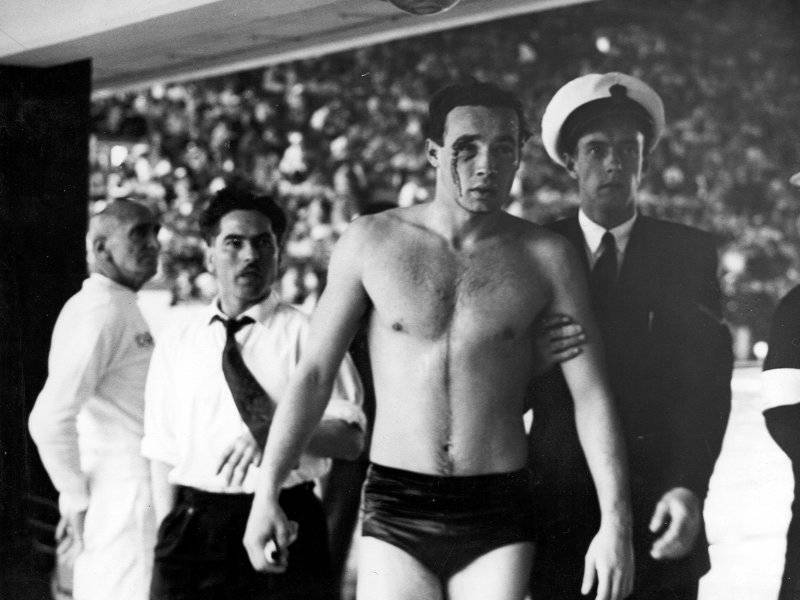 The Hungary of the 1956 Olympic water polo tournament is still remembered and discussable as an historical moment. For this reason, to come from Melbourne can be an oblique matter of interest. Budapest as fierce, proud, and angry. 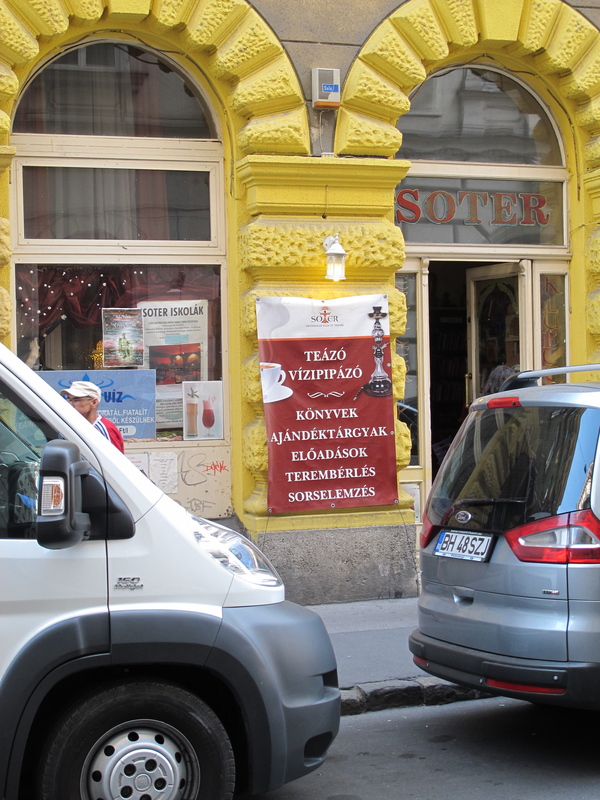 A second set of images — communist Budapest. I struck up a friendship with Arif one of the receptionists at our hotel, a Turk who had married a Hungarian and lived in Budapest for 30 years. 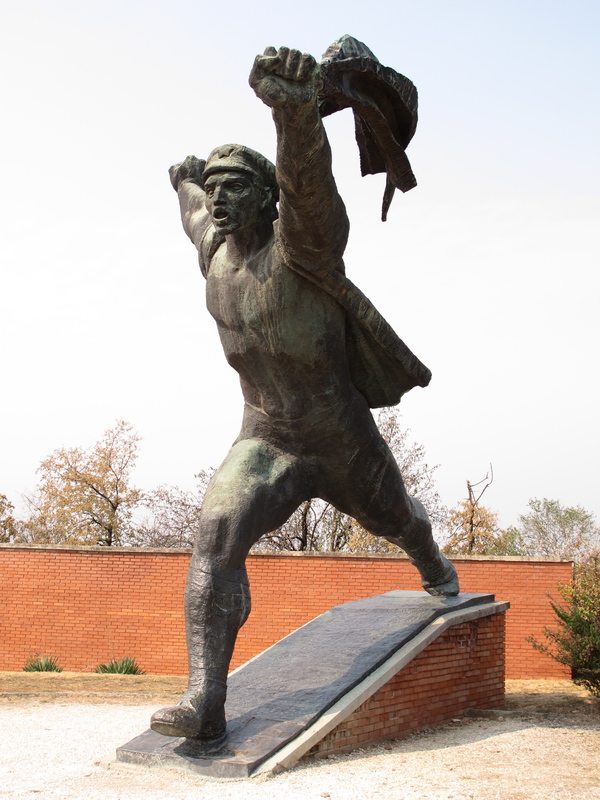 He also ran a taxi business and at our request took us out here, 45 minutes out of town, to the Memento Park ‘In the Shadow of Stalin’s boots’. We spent several hours with him. He earnt the equivalent of 400 euros (525AUD) a week. If he moved inside the chain and did the same job in Germany 1200 euros, but he didn’t want to leave his adopted home. So he drove taxis when he could. We talked about that water polo match. He knew all about it. We also talked about the impact and residue of communism in Hungary. ‘They don’t care about public things. Everything got set back because no one cares. Still … there’s lots of growth now, in tourism. Hungary hasn’t got anything else. But they have forgotten how to make money. Under Communism everyone had a job. They didn’t have to worry. Now some people still think the same and it rubs off on the rest. I’ve sent my children (four, now adult) away to learn how they do things differently.’ Everyone’s responsibility is no one’s responsibility: I’d heard that before. And yes you can see all that. 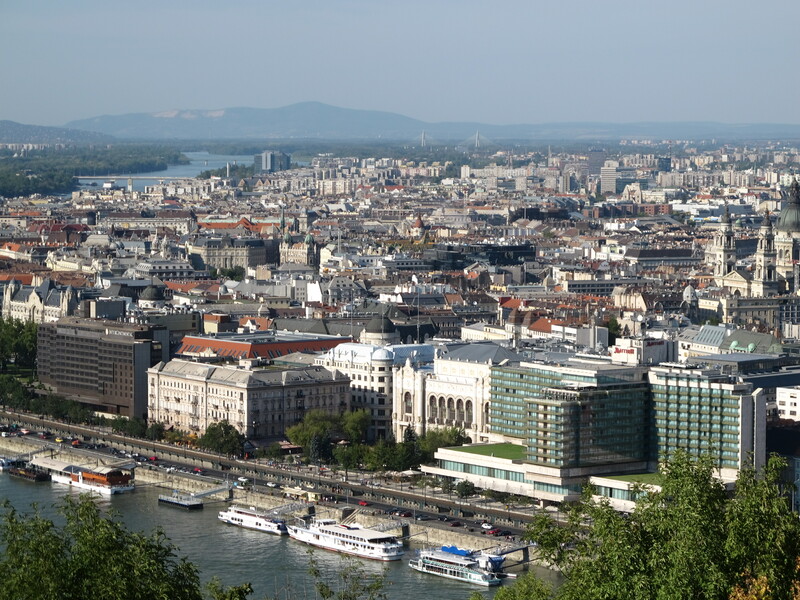 If you wanted Budapest to be like Vienna you would not just have to spend a fortune on infrastructure, you would also have to wrench the consciousness of its citizens to some quite different setting. 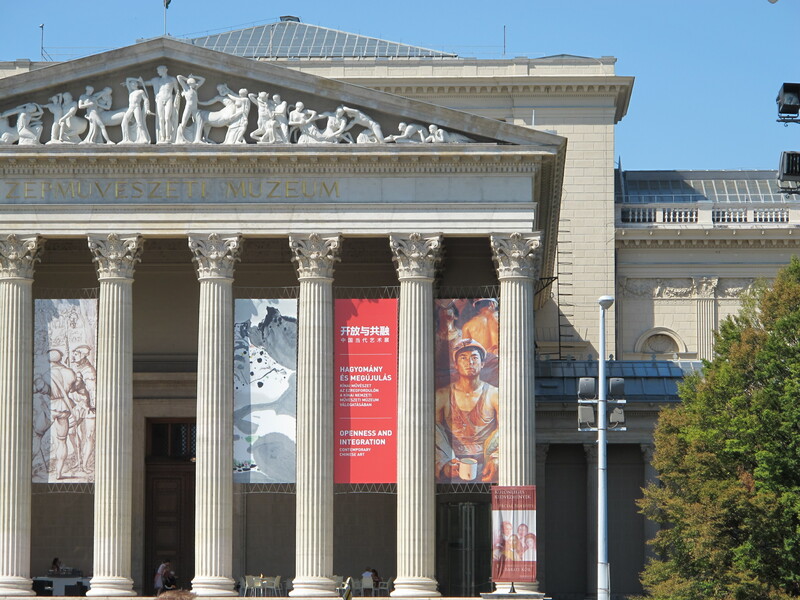 ‘In the Shadow of Stalin’s Boots’ is the result of a community decision to get rid of all the communist art from its initial setting and collect it here. The conceiver of the park had a grand and most interesting vision of what it should be: the empty forecourt in front of the empty boots for example. 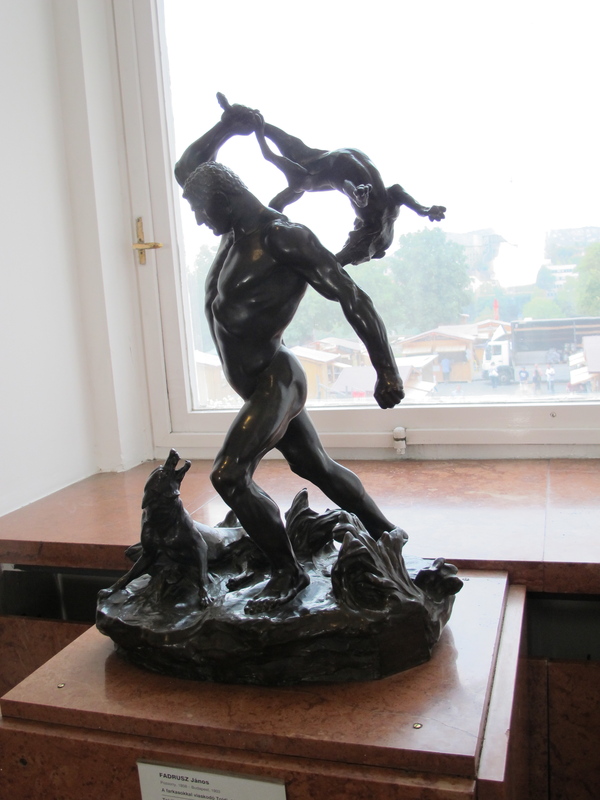 (The rest of this statue was destroyed in the uprising.) ‘Democracy is the only regime that is prepared to accept that our past with all its dead ends is still ours. 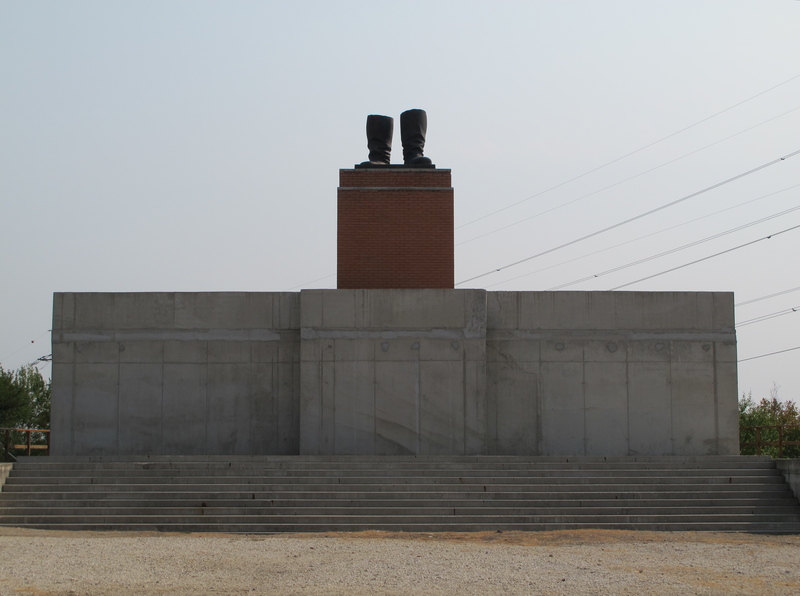 … The park is a critique of the ideology that used these statues as symbols of authority.’ This is only very partially realised, but I’m glad to know that the park had such a foundation. The Treaty of Trianon which followed the first World War stripped Hungary of two-thirds of its territory (notably Croatia, parts of the Ukraine and Transylvania) leaving three million people who considered themselves Hungarian outside its borders and devastating its economic base. During the early stages of WW II the Arrow Cross party, fascists closely allied to the Nazis, took control until April 4, 1945 when the Russians entered Budapest. Then for 46 years, so recent, it became a Soviet outpost. Ten percent of its population died in the Second World War; an equal number were killed or deported in the years that followed. 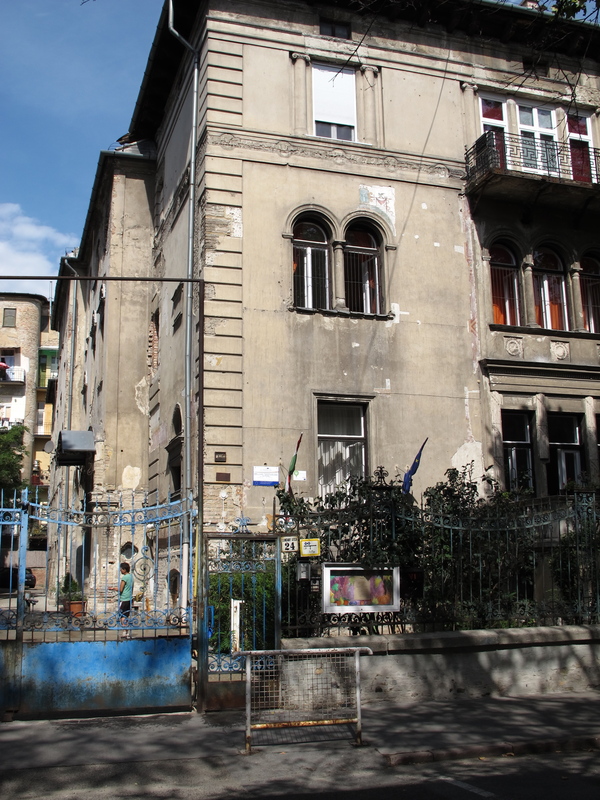 This is all recorded in detail in the House of Terror, one of Budapest’s most popular tourist destinations. Arif thought we should see it. I didn’t like it much. Too much boppy music and too many sound effects. I thought silence would have been more appropriate for a story of such bleakness and ill chance. On this same memorable day we went to this edifice which happened to have a display of Chinese art. We dumped our packs in the cloak room and wandered into the first room. The art was contemporary and of mixed interest, the sort of thing you might see anywhere but in this case with one of the attendants snoring stentoriously. Then we went upstairs to the rest and I realised with a start that we were looking at 60 pieces of art which recorded one of the most dramatic changes in history. An etching of a strikingly handsome Chou En Lai inspecting the impact of an earthquake which wasn’t made public for 14 years, a group of farmers dividing land into privately-owned parcels, 6 metres of village life every inch of which was worth close inspection, a wave sweeping everything before it, Deng Xiao Ping with a telltale strong wind riffling through his hair. Chinese art at its very highest level, in terms of both craft and significance. I couldn’t take photos, but I will never forget it. Another story about the fate of communism. The third set of images. Budapest as a living city. These are more in my head rather than the camera’s card. We saw Wes Anderson’s quirky ‘Moonrise Kingdom’ in an arthouse cinema packed with locals and loved it; and Woody Allen’s new film which unfortunately was one-third in Italian and the subtitles remained resolutely in Hungarian. We ate ice cream at the New York Cafe and cruised the river. Below is a preschool in one of the posher parts of town. But the noise coming over the fence was just as joyful as it would be anywhere else. It could look like Helsinki, or somewhere else. But I loved its texture and its humanity, its lack of pretension. It always seemed to be itself, organically well integrated. What is left to say after that? I have nothing further to add. 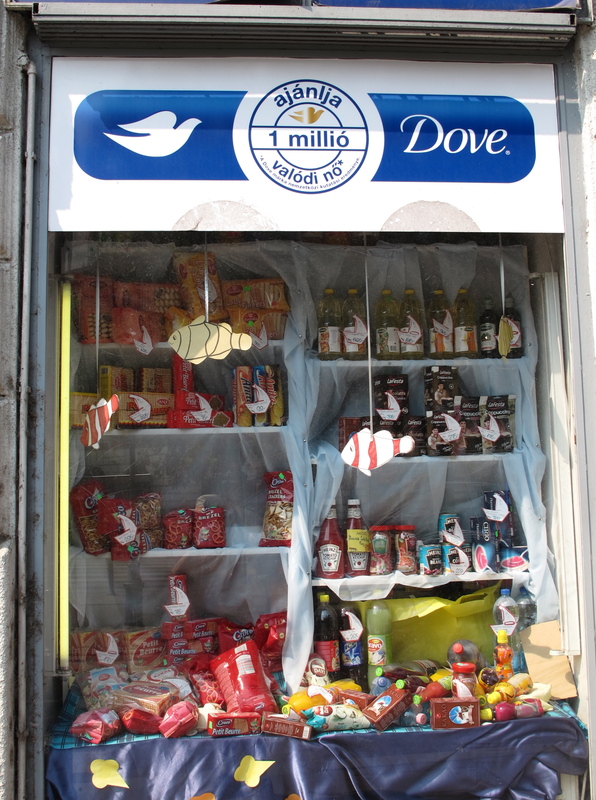 It’s funny, one of the memories I still have from being in Budapest in 1987 is the incredibly daggy shop window displays. I thought it was some sort of communist awkwardness with commodities that would disappear with capitalism, but I am glad to see it is somehow embedded in the Hungarian consciousness. 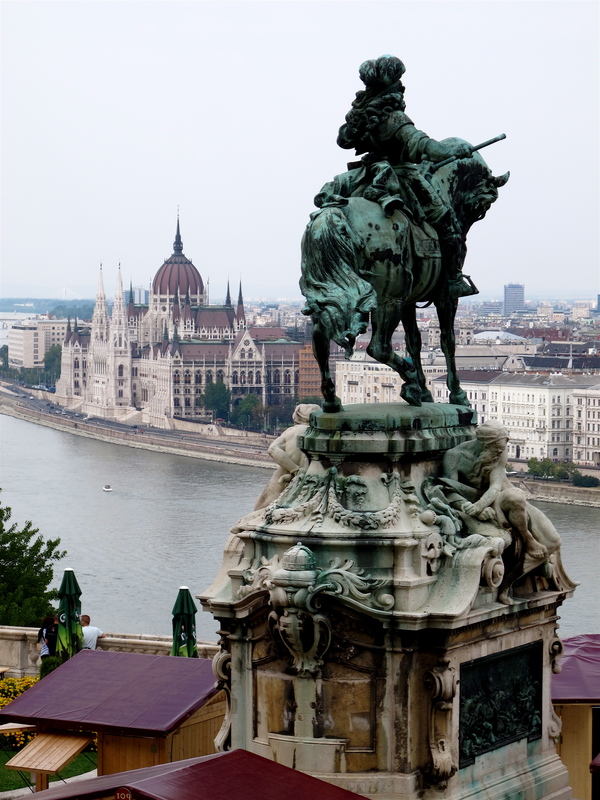 I liked Budapest very much, and it struck me as the start of the East too. Ruth and I went to Budapest last year (2013). I loved the statue park but the best part of the city was the trams which went everywhere and the Children’s 760 mm railway (not 750, the driver insisted) and the rack railway that you take to get to the start. The Children’s Railway is a remnant from Soviet times (there seems to have been one in all major cities) and is staffed by children. The only adult was the driver and a few mums and dads standing by. There was also a wonderful railway museum. Basically, a gricer and gunzel’s dream city.